Fortuna Dusseldorf vs Wolfsburg predictions for this weekend’s German Bundesliga. Dusseldorf look to end a run of four consecutive league defeats against an out of form Wolfsburg at the ESPRIT arena on Saturday. Read on for our free betting tips and match preview. 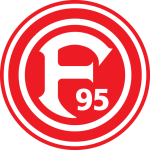 Four consecutive league defeats has given Fortuna Dusseldorf a harsh taste of reality after a comfortable enough start to the season. Fortuna strung together some positive results in the earlier matches – draws away to RB Leipzig (1-1) and Stuttgart (0-0) stand out – but a huge slump in form has drawn some serious question marks around their ability as a top flight side. Last weekend’s 7-1 hammering away to Eintracht Frankfurt was their heaviest Bundesliga defeat since March 1986 and a less than impressive 2-0 defeat against Nurnberg in the away game prior to that, the other newly promoted side, highlights our concerns. Coach Friedhelm Funkel has some thinking to do ahead of this match with his side managing just two goals over their last five league outings too. Wolfsburg’s surprisingly good start to the 18/19 campaign has also taken a turn for the worse. Last weekend’s 3-1 defeat at home to Bayern Munich means that they’re winless in six Bundesliga games (D3 L3) – the worst ongoing run in the league – ahead of this match, so coach Bruno Labbadia may experiment away from his “tried and tested” 4-3-3 formation – that’s the least he could do in one of the more favourable fixtures of the season. He is, however, likely to stick with new signing Wout Weghorst (27 goals in all competitions for AZ last term) as the main man up front. The Dutchman has been directly involved in three of their last four Bundesliga goals (two goals and one assist) and has been preferred to “impact sub” Daniel Ginczek as a lone striker. So where does that leave us ahead of this game? Well, after looking over everything, there looks to be some value in backing goals at both ends on Saturday for the following reasons: Fortuna Dusseldorf’s poor form and failure to score goals has largely been in matches on the road – in fact, Dusseldorf have failed to score in just one home match this season, and that came against strong opposition in Schalke 04. And with four goals scored in four home matches so far, the West Germans are trucking along with a one goal per game average at the ESPIRIT arena. However, defence is not their strong point, and even with Wolfsburg relatively out of shape in terms of form, you’d have to fancy them for at least one goal against the second worst defense in the German top flight – only Nurnberg (19) have conceded more than Dusseldorf (18). Wolfsburg’s recent form might look poor on paper, but draws against an 2nd placed Borussia Monchengladbach and a stubborn Mainz 05 and defeats against 3rd place Werder Bremen and reigning champions Bayern Munich are not too out of the ordinary. Following that up with the fact that Wolves do have the best offensive record in the bottom half of the table (11 goals scored, an average of round 1.4 goals per game scored) then you begin to fancy them for a result here, especially with Dusseldorf losing in three of their four home matches so far. However, with Wolfsburg keeping just one clean sheet this season, against the Bundesliga’s weakest offense (Mainz) at that, we don’t see it being a clean win – in fact, both teams have scored in 8 of Dusseldorf’s last 10 competitive league home matches (80%). Our prediction: 2-1 Wolfsburg. Both teams have scored in 8 of Dusseldorf’s last 10 league home matches (80%). Fortuna Dusseldorf have the worst goal difference in the German top flight (-12) – only Nurnberg (19) have conceded more than Dusseldorf (18). Wolfsburg have conceded 14 goals – their worst tally after eight matches since 2012/13. Wolfsburg’s Wout Weghorst has been directly involved in three of their last four Bundesliga goals (two goals and one assist).